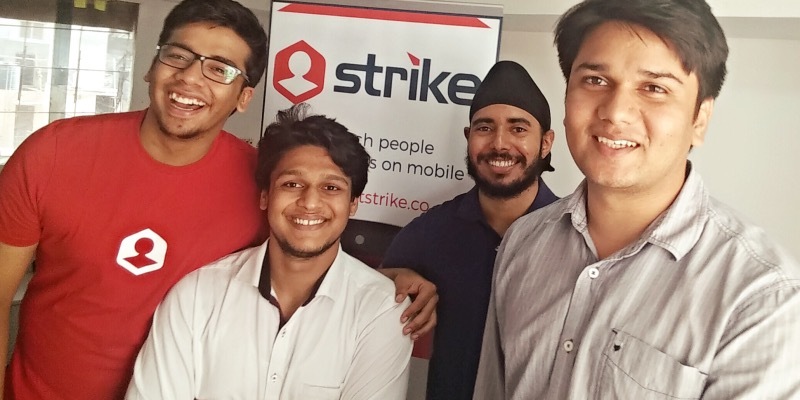 Info: Akshay Katyal (Left) , Co-founder and CTO at Strike. He’s leading the tech team of 4 . 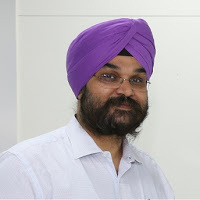 He have worked with various high growth startups like HackerEarth, TweetSecret, Inox Apps in the past, building and scaling the products as they grew. 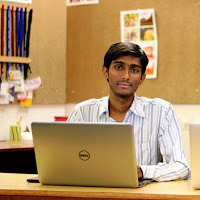 He did his Undergrad in Computer Science from IP University, Delhi, in 2014. 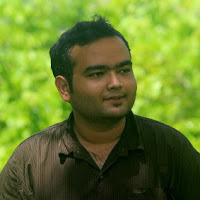 It was during he college days, he started to contribute to Open Source projects by Mozilla & Twitter. Being involved in the startup community since college, he always wanted to build something which solves a problem and has a potential of impacting millions of users. 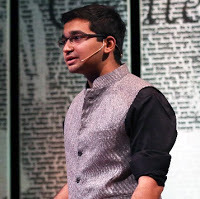 He founded Strike with Aishwarya Jain (right), who was his colleague at HackerEarth. Q1. What do you mean by People search platform ? There are quite a few social media sites out there which are trying to connect people by building out personal and professional networks. The challenge was discovery across these sites. Getting all the social data aggregated on a single platform is what we mean by People Search Platform. The problem of getting to know about the person aggravates when interacting with someone over email. There is a need to know who exactly the person behind an email is, when you wish to prioritize. When you are sending an email (especially, cold emails) people tend to look for common connections, interests to Strike a better conversation. This is what a People Search platform aims to solve. Q2. What was the idea behind building Strike? Building a people search platform (or Rapportive for mobile) was the starting point of Strike. We built out an initial version of the product and started giving it out to users. As we progressed and refined the product, we realized that the technology we built on mobile, has a far more potential than just being a people research platform. We started speaking to businesses who have email based chrome extensions and found out that their biggest pain point was getting engagement on mobile and targeting mobile-only/mobile-first users. Everyone followed the traditional approach of building out a standalone app. But when they used and experimented with Strike, they immediately signed up for integrations, as Strike worked inside the Gmail app just like their web offerings. To support these businesses and make things easy for them, we built out an SDK and helped them port their apps onto Strike, which would later work inside Gmail. Strike has now become a chrome extension like platform for email apps and this is where we are headed. Q3. What is your working environment or office culture ? We are a close-knit team of 5, working out of a shared space in Indiranagar, Bangalore. As a small team, we believe and follow this: Be a Jack of all trades and Master of one. Just like other startups, we have flexible working hours and unlimited vacation, but we do have realistic deadlines. It is critical, and helps us push our limits. We focus on keeping overall company decisions transparent, it helps everyone to be on the same page. Everyone is free to give suggestions, involve in any discussions and experiment various things at work. For example, our developer shares some amazing marketing hacks with the team, which has led to bringing down the acquisition costs. One day, you’ll find a developer helping out with sales, the other day marketing guys helping out with debugging issues in the app. At the end of the day, we want everyone to be entrepreneurs and solve problems in entrepreneurial ways! Q4. How hard was it for you to build Strike ? Q5. What is your target audience/users ? We are targeting the email power users to start with. This includes sales guys, people from the recruitment industry, Linkedin premium users and the startup community which make up about 150M+ of the total professional population. For providing these users with the features they use, we are partnering with businesses who already have such offerings on the web and helping them port those apps into Strike. There are about 26,000 such apps and we aim to bring all of them onto the Strike platform soon. Q6. What are your views on Social Networking and information availability ? Social Networks have to be secretive about the information they are holding. Privacy should be the most important thing in mind while building out a social network. For example, I wouldn’t want my vacation photos to be available for everyone to see. The users should be able to decide what information should be made visible and what shouldn’t. While creating the people search platform in Strike, we made sure of following this philosophy. We display information only if it is publicly available and indexable. Q7. After learning so many technologies, why did you focus on building a product based on mobile platform? Technology is just a medium to get you where you want. Even if you are building a pure tech product (like Strike), you need to be focused on the problem and solution rather than what technology you are using. Q8. Have you ever given a thought about working in the corporate world ? A lot of people have asked me this question and my answer has always been no. I love the thrill and enthusiasm which comes while working in a Startup. The adrenaline rush you get when you are about to deploy a make or break feature is what I like to live for. I doubt I would get any of that in a well established corporate. Q9. How did it all start? Who all helped you out ? What is the story from ground level of Strike? It all started when I was working at a startup called HackerEarth. Aishwarya was my colleague there and he came up with an idea of building Rapportive for mobile. The idea was to show social information around phone numbers. One of our closest friends helped us getting the initial version out. We soon realized that Truecaller was solving this problem very well. Apart from this, publically available data around phone numbers was very limited. We did our first pivot that time and moved exclusively to emails. While working on this version, we happened to meet the founders of Appknox, who offered us free office space and helped us refine the business model. 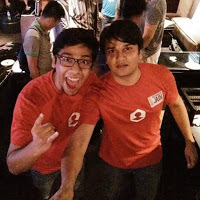 They, ultimately, referred us to JFDI accelerator, Singapore and we set out on a journey to create a new market of chrome extensions for mobile. After that, we never looked back and have been on the growth track ever since. Q10. Any message you want to give out to fellow Engineering Entrepreneurs out there ? There is one thing every engineering entrepreneur needs to keep in mind: Problem comes first , followed by business and then technology. If you try to go the other way round, you are bound to fail! .